One of the most controversial areas of the Canadian economy over the past several years has been the booming housing market, primarily led by the urban markets of Toronto and Vancouver. Proponents state that strong price rallies spur demand for home construction, while detractors list the steeply rallying home values as one of Canada’s top economic risks. Despite general agreement of pronounced issues in Vancouver and Toronto, there seems to be a general debate as to the level of warranted concern on a nation-wide basis. 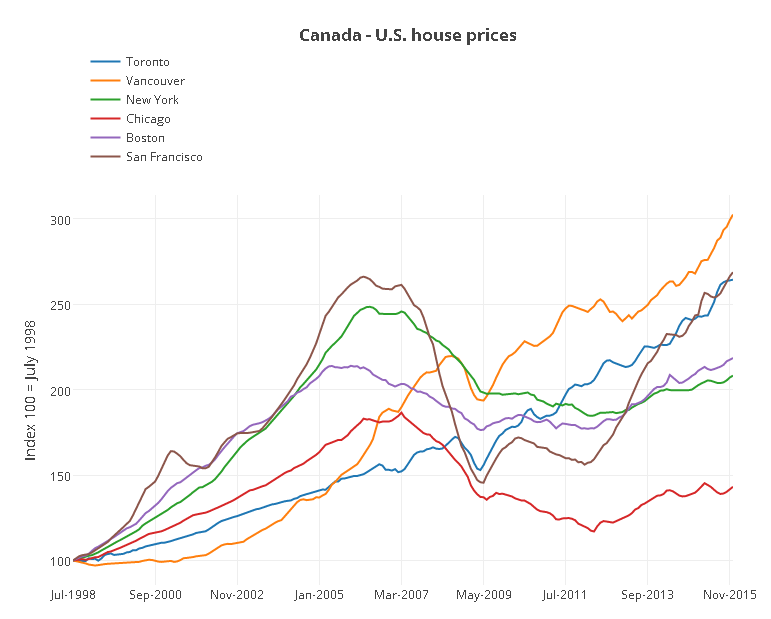 Refer to Exhibit 1 to put into perspective the imbalance of the Canadian housing market. The average price of a home in Canada is up 13% since last May, climbing to $509,460. Surprisingly, however, if you take Vancouver and Toronto out of this equation, the average home price is actually $375 532. These statistics exemplify the difficulties of looking at Canadian real estate prices on an ‘average’ nation-wide basis. As seen in Figure 1, home prices in Calgary and Saskatoon are declining, prices in Quebec City have also declined 3.6% and overall sales in Calgary are down 12%. This individual market divergence results in national data being relatively less useful for analysis purposes, and also increases the difficulty of government intervention, as policies implemented to cool down one market may negatively impact another market. Rising home prices in and of themselves are not exactly a ‘negative’ economic signal; on the contrary, they can actually signal rising demand for homes and rallying income levels. The crux of the issue in markets such as Toronto and Vancouver lies in relative affordability in relation to local incomes. RBC states that a median priced home in Vancouver represents 109% of median income. This statistic alone proves the unsustainability of the Vancouver housing market as home prices have increased more than 17x the current rate of inflation. 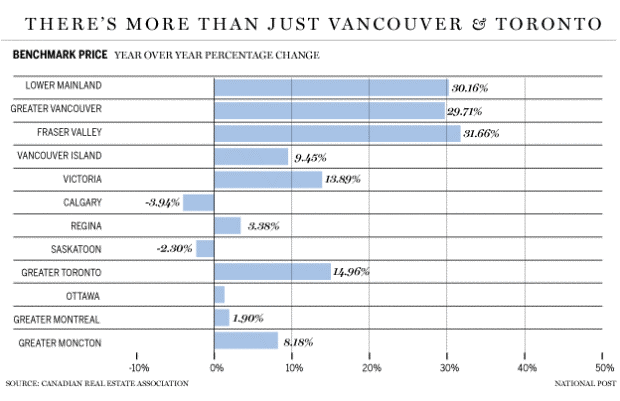 No American city has experienced an increase above that seen in Vancouver (Exhibit 2). An inability to afford housing typically translates into rising rental demand, and mainly tends to affect first time home buyers. These effects are readily visible in Vancouver and Toronto, where condominium prices have increased 14% and 7% over the last year, respectively. The logical question stemming from the observance of increasing unaffordability in Toronto and Vancouver then becomes: if not incomes, what factors are driving these real estate markets? One aspect can be attributed to a relative lack of supply. For example, the Canadian Real Estate Association (CREA) reports Canadian home sales have declined 2.8% in May, citing a lack of supply as a primary cause. The ostensible disconnect is that, as earlier stated, local residents – and specifically the younger generation – are being priced out of the market, measured by worsening ‘affordability’ metrics, which should logically hamper the demand to purchase real estate; a lack of supply, however, infers strong demand. This younger generation that’s pushed out of the market is forced to enter the rental market, where rents in Toronto have risen 6.8% since last year, and 4.6% in Vancouver, according to Urbanation. As many will guess, one primary explanation for the discrepancy is accounted for through foreign demand and investment. A study collected by a Vancouver planner last year showed that 66% of luxury homes in Vancouver were bought by people with non-Anglicized Chinese names, suggesting they are recent entrants to Canada. Unfortunately, due to a lack of official data collected as well as other market complexities, it is difficult to resolutely state the impact foreign investments have on the Toronto and Vancouver housing market. Outside of its effects on the affordability of housing for local residents, a high level of foreign investment has also raised concerns of money laundering. To combat this, Ottawa has now begun to implement a policy that requires citizenship information when purchasing a home. The government intends to use this data to improve their understanding of foreign investment in Canadian real estate, as well as to inform proper future policy of how to manage it. Outside of foreign investment, rock-bottom interest rates have also driven home purchasing activity in Canada by increasing the availability and affordability of mortgage financing. Lower interest rates make it easier to treat homes like a commodity and increases the appeal of ‘flipping’ houses for profit. This sort of scenario represents a significant risk to the Canadian economy moving forward, as a volatile change in interest rates or nation-wide employment may cause a drastic decrease in both demand and affordability of mortgage financing. In conjunction, mortgages represent a form of leverage, and as in the investment world, higher levels of leverage tend to accentuate volatile markets. Mortgage liabilities, as a share of total household credit, accounted for 65.5% of all personal debt in the first quarter of 2016, reaching levels last seen in 1997.3 This increase in mortgage debt extends the trend of consecutive quarter-over-quarter increases that began in the first quarter of 2010. Canadian household debt in general is also at an all-time high, with the debt to disposable income ratio rising to 165.3% in 2016, historical values can be seen in Exhibit 3. This is in comparison to the US where debt to disposable income is only at 113%. 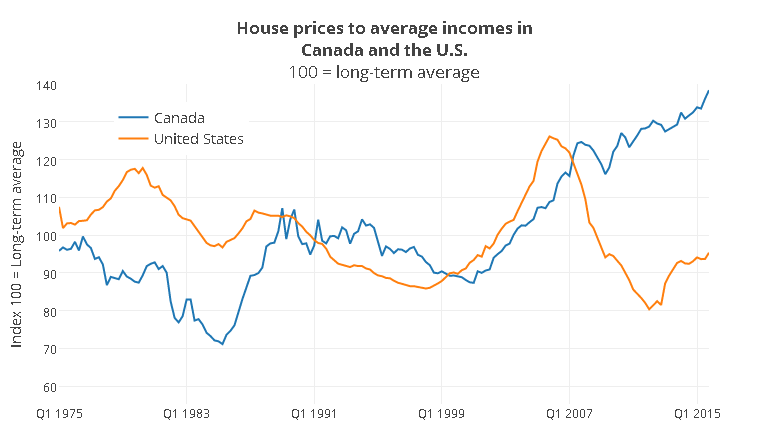 Exhibit 4 shows the discrepancy between the Canadian and US housing market. 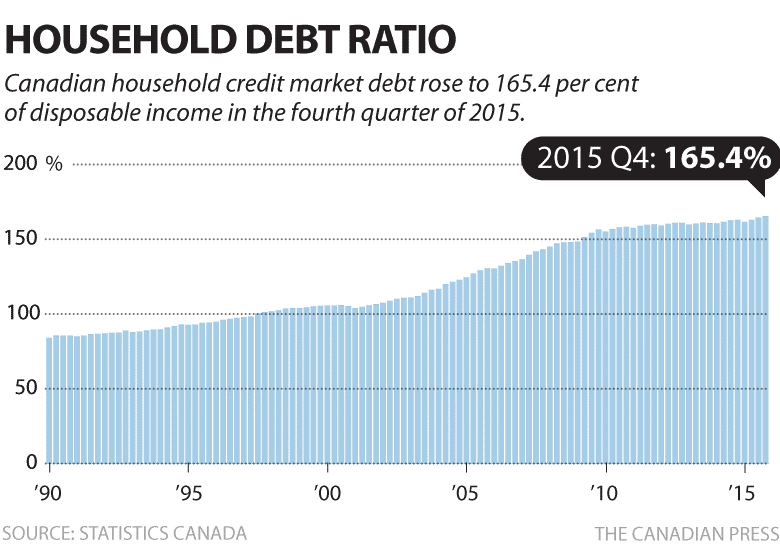 This record level of Canadian household debt creates a major area of concern in terms of a housing correction. The Bank of Canada found that housing corrections can be very dangerous, as their research found that a 15% price correction could leave up to 13% of Canadians with a mortgage worth more than their house. Knowing that household debt is at a record high, this statistic represents a conservative scenario. The likelihood of mortgage defaults has the potential to cost Canadian banks up to $12 billion. Lastly, another factor influencing the key real estate markets of Toronto and Vancouver is immigration. National Bank’s chief economist states that the working age population in Toronto and Vancouver is growing 70% faster than the rest of Canada, indicating the higher allure of these locations for incoming immigrants. Some believe this level of immigration and work force growth to be unsustainable, with one major area of concern being transit and infrastructure; for example, the traffic index from Dutch firm TomTom finds Toronto and Vancouver the 1st and 2nd most congested cities in Canada. Besides New York City, the Toronto Region Board of Trade claims that Toronto has the highest average round trip commute time of any North American city. Aside from causing inconvenience, a rate of population growth outstripping the capabilities of infrastructure also has a profound impact on real estate prices. With relatively fewer available locations which are considered easily accessible by public transit, these existing accessible plots of land surge in value, resulting in pockets of highly-valued properties. Cities such as Toronto, who are experiencing a large influx of immigration, need to invest heavily in infrastructure in order to ‘unlock’ accessibility to more areas and proliferate demand away from a small concentrated group of locations. It is positive to note, then, that the new Liberal budget accounts for $125 billion of increased infrastructure spending over the next ten years. 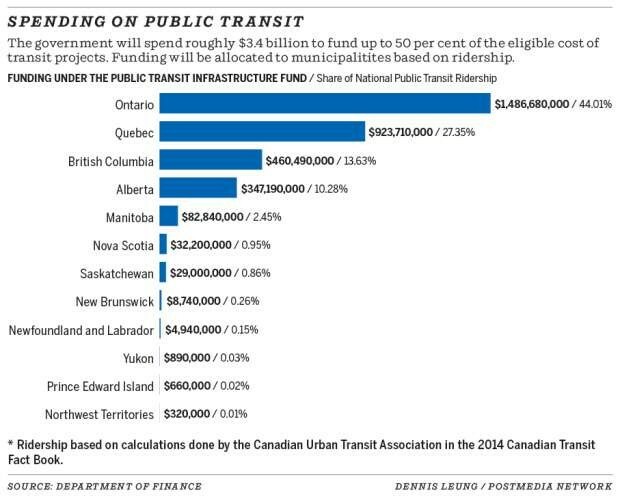 This allocation is roughly double what the Conservative party held for such expenses, and it is expected to improve items such as public transit. Furthermore, these funds will assist in stimulating the economy with additional job growth. Part of this funding includes $3.4 billion in the next year earmarked for public transit, divided between provinces based on ridership. Refer to Exhibit 5 for the allocation of transit funding. In addition to this, Toronto is planning to build eight additional GO stations throughout the city, increasing the number of areas with accessibility to public transit, and decreasing concentration in areas near a pre-existing station. Investing in infrastructure is vitally important, as consultancy Vital Sign’s report found that that approximately $6 billion is lost in productivity every year, due to Toronto residents being stuck in traffic. Any given market imbalance is able to be addressed from either the supply or demand side of the equation, and there is much debate as to which is the best direction to take, as there are inherent risks with each plan. As can be seen, an overactive housing market can be a difficult beast to tame, due to the delicate balance that is required; over-regulation tends to hurt foreign investment more than desired, which tends to have a negative long-term impact on economies. Many predict that the real estate market will come to a slowdown by 2017, including the CREA. As we have already seen, home sales have declined in May across Canada. This slowing may be due to an inability to move up after selling one’s home, partially due to a lack of affordability. The CREA states that the decline in sales, stemming from a lack of supply, will allow rebalancing as activity moves away from BC, even though demand will remain high, with sales increasing by only 1.5% in that region. They also predict Manitoba, Nova Scotia, and Quebec to experience increases in home sales, meanwhile Alberta is predicted to experiences the greatest decline. The CREA expects sales to pick up in Alberta and Saskatchewan by next year, with the increase in oil prices being the catalyst for a return to growth. TD additionally predicts a housing correction in the near future, but claims there is uncertainty as to when the timing will be. They estimate a slowdown won’t begin until 2017. BMO’s chief economist notes that people have been calling for a housing market crash since 2008, meanwhile, the market has increased by 60% since that period. He predicts a strong selling season to continue amid low interest rates. What we do know, however, is that there is increasing pressure from the public for the government to take action towards the affordability and supply crisis. The Bank of Canada has advised not to purchase a home in hopes of a price appreciation, suggesting that action towards the housing market that many Canadians have been waiting for, can be expected soon. Bank of Canada. (2016). Financial Systems Review. Ottawa: Bank of Canada.